All pictures featured in this article are by Melodie Cuevas. Coffee. I’m not a big fan of it. I have tried many places (Starbucks included) and none were able to satisfy my taste buds. I honestly thought I would never become a coffee enthusiast, but that all changed when I landed upon a little franchise in my town called Tierra Mia. 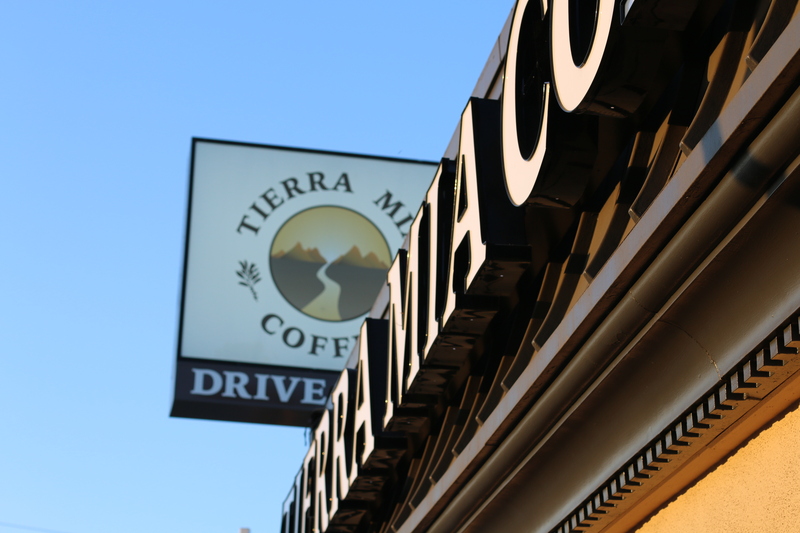 Tierra Mia is a shop that has certainly mastered the art of coffee, it’s well crafted and absolutely delicious. They roast their coffee every single day on a 1975 Probat Roaster. In addition, they have flavors that are completely original and compliment Latin American Culture. Ever heard of a Horchata Latte or Mocha Mexicano? Probably not, which makes it more intriguing to pay a visit to this place! It is a also a cool place to hang out. All across Europe, coffee shops do not offer wifi in order to encourage communication among people. This is exactly what Tierra Mia does. They do not have wifi. At first I was desperate to have service, but after all hope was lost I was able to survive the condition. I chatted with many different people at the coffee shop, who were all lovely. It’s really amazing to travel a decade back where people are actually chatting among each other and not with friends on Facebook. Planning on going on a date? Or meeting up with friends? This little shop is definitely the place to go and enjoy each other’s company. If this still does not convince you, may I mention their pastries are absolutely wonderful. Its heaven on a spoon. I tried so many different kinds of pastries there and one of my favorite is their Butter Croissant. Its flaky, yet soft and melts inside your mouth. Best part of it? Its home made, meaning, they bake it in the store and not in a factory! Also, the employees are extremely friendly people. No matter how long their line is, they are extremely kind. They welcome everyone with a smile and treat you with the respect you deserve. They are very patient with their customers, like me. I am so indecisive, one second I want a mango fresca and then the next I want a latte. They even tried to help me out with my order and do so in a very professional, heartwarming manner. Not to forget their ambiance is beautiful. Whenever I enter the shop, I feel like I am somewhere in Latin America in the 1950s inside a brown stone building. They have beautiful lighting and glass stained lamps. 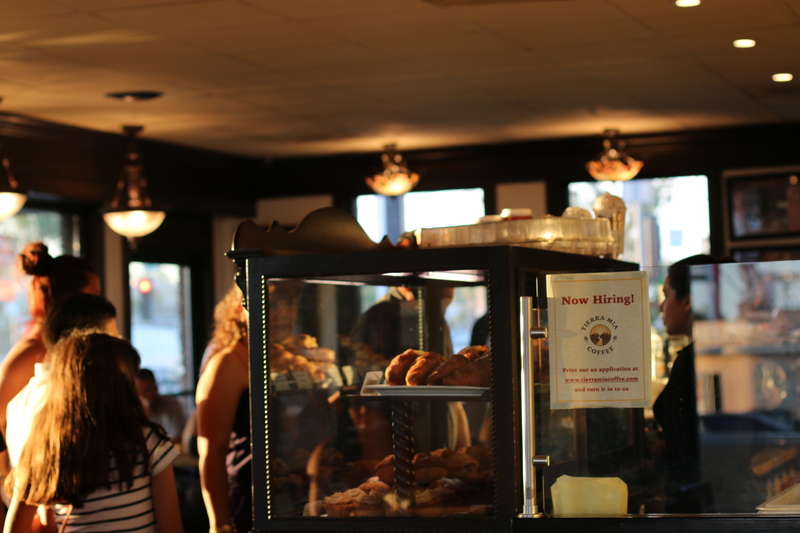 Plus, photographs are placed around the coffee shop that tell the glamorous history of coffee and Tierra Mia. Their company works locally with farmers in Latin America which is a real positive note, and legend has it that a shepherd named Kaldi was the first to discover coffee! Also, if you are running late and want to stop by at a good place to get some coffee and pastries they have a drive thru (varies depending on location). However, it is usually packed since it is so delicious, thus I recommend going inside the cafe, it typically has a shorter line. If none of this has convinced you yet, read yelp reviews! Tierra Mia has really good ratings. I am so glad that I was able to discover this little gem in my local community. 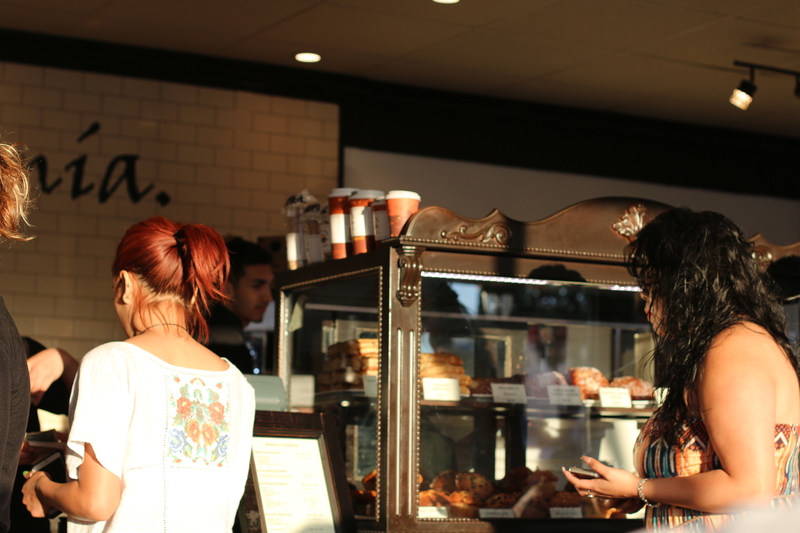 Most coffee is just enriched with caffeine, but Tierra Mia’s coffee is enriched with love, passion, and taste. They are also hiring in some locations (like in Lynwood) if you are interested in employment!